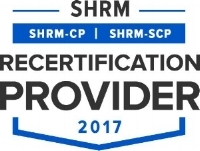 Where many programs focus on using recognition platforms, awards, and formalized processes, our programs works at the core of relationships; training leaders to authentically connect with employees in their day-to-day interactions. Different locations, time zones, cultures, and communication styles make leading a dispersed team beyond challenging. Learn to build trust and relationships when the usual in-person forms of connecting are not available to us. Discover how to build trust no matter where your people are! Our staff are the reason we are able to do the great work we do. Keeping them engaged, excited, and enthusiastic about the work they do, keeps our clients happy and involved. Take your people strategy to the next level.